Reston Glass is a professional window replacement company using top quality Lansing Replacement Windows. Regardless of the style or configuration you want for your business or home, you will receive high performance custom built windows and glass doors. 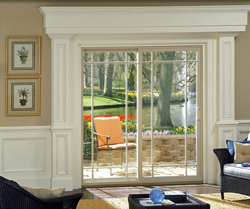 No window more beautifully exemplifies the superior quality than Lansing windows. With options like beveled mainframe styling and handsome brick mold appearance, it's hard to believe this is a vinyl window. Reston Glass has Lansing replacement windows! We selected this manufacture product given the quality offering of their product. 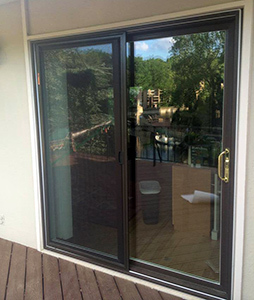 You can feel comfortable knowing that no matter what style or configuration you choose for your home or business, you will be getting high performance custom built windows and doors. Reston Glass has many window styles and options for you to create an individual look all your own no matter where you are in the Northern Virginia area. Are you looking for the clean look of windows with encased blinds? Look no further we have what you need. 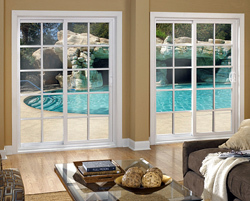 Lansing is a name you can trust because they make the finest window products available where quality is their standard. Lansing takes pride in custom building products that enhance your home. 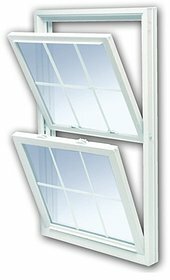 While we have all types of window options, let me discuss one of the basics. Many people think vinyl replacement windows cannot be beautiful, meet our series 60. The Series 60 is the union of elegant styling and superior energy efficiency. You can enjoy the practical benefits of the aesthetics of Lansing workmanship and design in a vinyl. 7/8" insulated glass cuts energy costs. U-channel spacer with "warm edge" keeps heat and cold from traveling through panes. Lansing‘s thermal and non-thermal products can satisfy various project types in almost any area. Our flexible design offers configurations that can be configured as exterior or interior glazed framing systems. Why Choose Reston Glass and Lansing Replacement Windows? Come in; let's talk about what we can do for you! All Lansing frames use only premium virgin vinyl. NOT REGRIND - Which is recycled vinyl that has dirt and other particles that weaken the integrity of the material. Some manufacturers use this as a way to decrease costs - delivering the unknowing homeowner an inferior product. Both the frame and sash components are firmed with a multi-chambered hollow weld design. Not only do these add incredible strength to the unit, but it also creates several air space cavities that work together to increase insulating value! Meeting rail interlocks seal the two sashes together in the closed position, limiting air flow and increasing efficiency. Fusion welded sashes and frames transform vinyl extrusions into a solid, one piece design. This eliminates water or air from penetrating the corners of the units and strengthens the overall structure of the product! 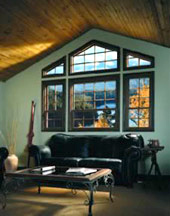 All Lansing frames incorporate 1/8” (7/8"insulated) double strength glass panes. NOT SINGLE STRENGTH - Which is only 1/16” thick - Some manufacturers use this as a way to decrease costs - delivering the unknowing homeowner an inferior product. 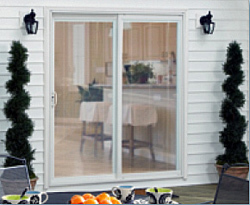 Every piece of insulated glass utilizes frost guard warm edge spacer technology. Not only does this reduce the chance of condensation, but also significantly reduces heat or cold from traveling through the glass! *Insulated (or Double Pane) Glass consists of two layers of glass, which are sealed together with air or gas between the two layers. View-safe tempered glass is heated to 1200 degrees then cooled suddenly with jet blasts of air. This process strengthens the internal properties of the glass 4-5 more than normal. Glass that eliminates potential injuries from accidental broken glass cannot cut you, breaks into blunt edge pieces glass that resists breakage 4 times more than regular glass – takes quite a beating that makes lots of noise which deters intruders. Glass that can withstand impacts of up to 24,000 pounds – 12 tons – per square inch. 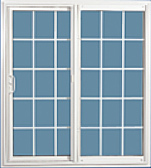 Glass that adds strength to your window units tempered glass – the right decision for your home! Low-E is an ultra thin metallic coating on or in the glass that stops infrared light (basically heat) from passing through the glass thereby reflecting heat back to its source. 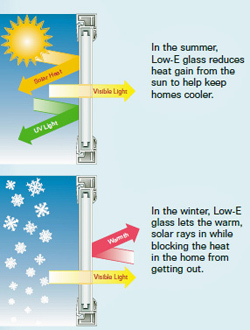 In the summer, Low E Glass, keeps the home cooler and decreases running time of your air conditioner by deflecting the sun’s heat. In the winter, heat generated from your furnace is kept in the house, allowing your furnace to maintain the perfect temperature. Argon is a clear, odorless slow moving gas that is sealed between two pieces of glass in order to reduce overall transfer of heat between the inside and outside of the glass. No matter what the temperature is, Argon slows the movement of heat when it enters the internal chamber of the glass, trapping it and often preventing it from transferring to the other side. This helps heating and cooling units work at their optimal performance levels. Lansing Low E Argon Glass yields a U factor of .24 (Center of glass) far exceed the ENERGY STAR® Guideline. Heat Mirror is a Low E coated film product suspended inside an insulating glass unit. The result is a triple unit with two airs paces without the weight of triple insulating glass and with far superior insulating and shading performance. Reduced Fabric Fading: heat Mirror insulating glass blocks 99.5% of the sun’s ultraviolet (UV) radiation, helping resist fading and retain their original color up to three times longer than fabrics behind clear single pane glass. Noise Control: insulates against unwanted sound transmission better than ordinary double -pane windows. Krypton is clear, odorless gas that has better thermal performance than argon and is particularly useful when the space between glazing's must be thinner than normally desired (as is triple layer units) to reduce overall transfer of heat between the inside and outside of the glass. No matter what the temperature is Krypton slows the movement of heat when it enters either of the internal chambers of the glass, often trapping it and preventing it from transferring to the other side. This helps heating/cooling unit work to their optimal performance levels. Lansing Glass yields an R-Value of nearly .10 (center of glass) far exceeding ENERGY STAR® guidelines in all climate zones.